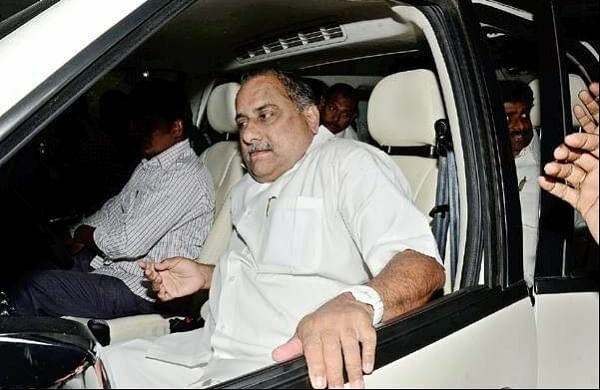 RAJAMAHENDRAVARAM: Kapu patriarch Mudragada Padmanabham, in his second letter to Chief Minister N Chandrababu Naidu on Monday, touched upon several issues from association with TDP founder NT Rama Rao, talking about Constitutional morality, joining hands with Congress, among many others. Mudragada accused Naidu of humiliating NTR and occupying the Chief Minister’s seat after garlanding him with chappals earlier.“In comparison, on Sunday, Naidu left his footwear, while offering prayers to NTR statue in a prostrating position. NTR wished to become Prime Minister of the country, but, he suffered a lot and died,” he said.He reminded Naidu of finding fault with the BJP earlier, but again mingled with it and now stated it was a grave mistake. “You are really an expert in saying lies and people understand your attitude,” Mudragada said. He said that when requested to fulfil the poll promise of BC status for Kapus, the TDP regime implicated people in false cases. “We have been accused of misleading people in the name of caste. Now, our fraternity are making rounds of courts,” he said. It was not correct of Chief Minister to talk about Constitution. You and your party lured MLAs of another party into TDP and offered them ministerial posts. Does that not fall under the purview of the Constitution? When required, then you think about Constitution,” he said.Mudragada also attacked Naidu for taking credit for BJP’s failure to get majority in Karnataka elections.